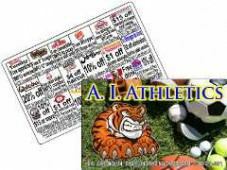 Fundraising cards are a proven money maker for schools, church and youth groups, sporting teams and non-profit organizations. We will make your fundraising cards easy and profitable! Fundraising Cards are a proven money maker for schools, church and youth groups, sporting teams and non-profit organizations. Fundraisers are always necessity and we can make your Fundraising cards as easy and profitable as possible. We will get local merchants specifically for your fundraising card. We will create a unique design for the front of your card. 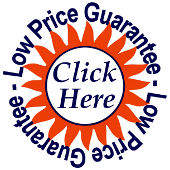 We will print the cards and ship them to you at no additional cost. No hidden or extra charges!!! Get 200 cards free for every 1000 full service cards ordered! The front of your fundraising card can contain your organization’s name, logo, photo and expiration date. The back of a standard card will contain fifteen (15) to eighteen (18) local merchants, each giving a buy one get one free offer, or some other discount (we pit the merchants against each other in order to get your members the best deals, the better the deals the easier they are to sell). The cards are valid for one (1) year of continuous use by the bearer. Take a look at these sample fundraising cards. Our cards are the same size (3 3/8″ x 2 1/8″), shape (rounded corners), consistency (30 Mil and glossy), and material (PVC Plastic) as a standard credit card. We print your cards in full image quality color and can match your organization’s colors and use your logo or design one for you. Fundraising cards have successfully helped schools, churches and other non-profit groups with their fundraisers for years. School bands, choirs, sports teams, church and youth groups, little league teams, PTA and PTO groups, soccer teams, community groups, middle school fundraisers and elementary school fundraisers, and many more have enjoyed easy sales and large profits by successfully using discount cards for their fundraising projects. Fundraiser groups like them as they are very profitable, customizable, and easy to sell. Please let us know how we can earn your business. We look forward to designing a beautiful custom Fundraising Discount Cards for you. Call us at 1-800-543-4371 we’ll be happy to answer any questions about this proven fundraising method.